Sip your B's, C's, D's, anti-oxidants and more by filling your fridge with vitamin packed drinks like Hard Nutrition and ACTIVATE. Hard Nutrition comes with a vitamin medley stored inside each cap. Don't be scared--the packaging explains everything from supplement info to how to take them. Blackberry Lemonade is the tastiest from Hard Nutrition's line-up. 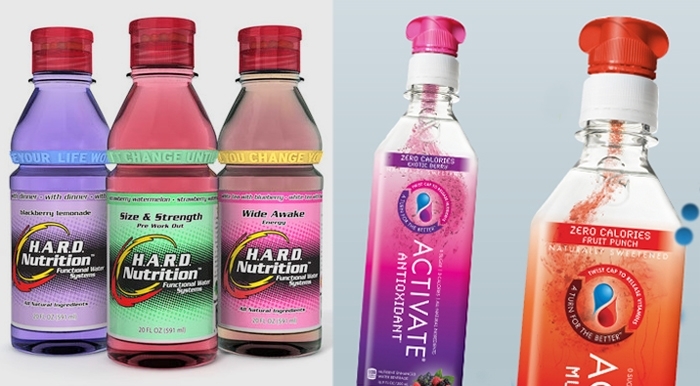 ACTIVATE drinks require a twist of the cap to release vitamins into a lightly flavored water. Just shake and sip! Take them to the gym without feeling guilty because the vitamins inside boost your performance and recovery. The calorie count is low too, with Hard Nutrition averaging about 40 calories/serving and ACTIVATE having 0-5 calories/serving depending on flavor. Blueberry Pomegranate is my favorite from ACTIVATE (0 calories! ).